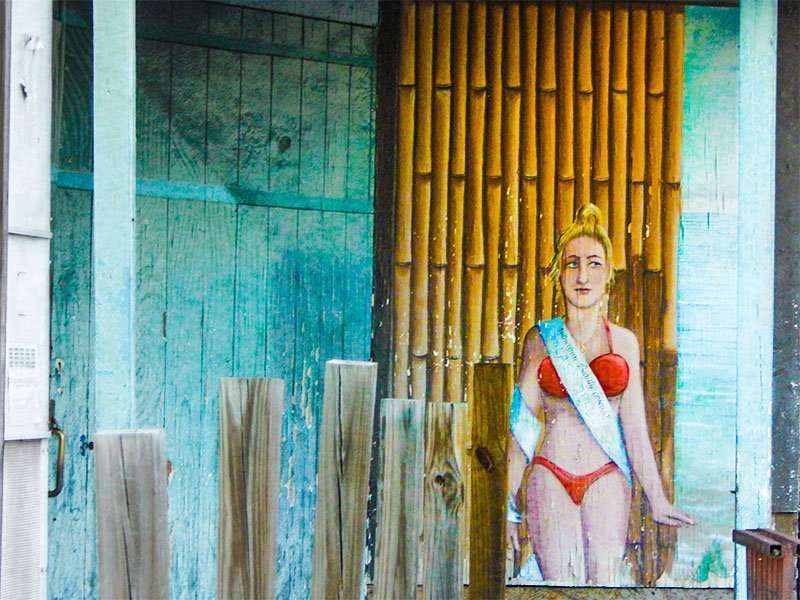 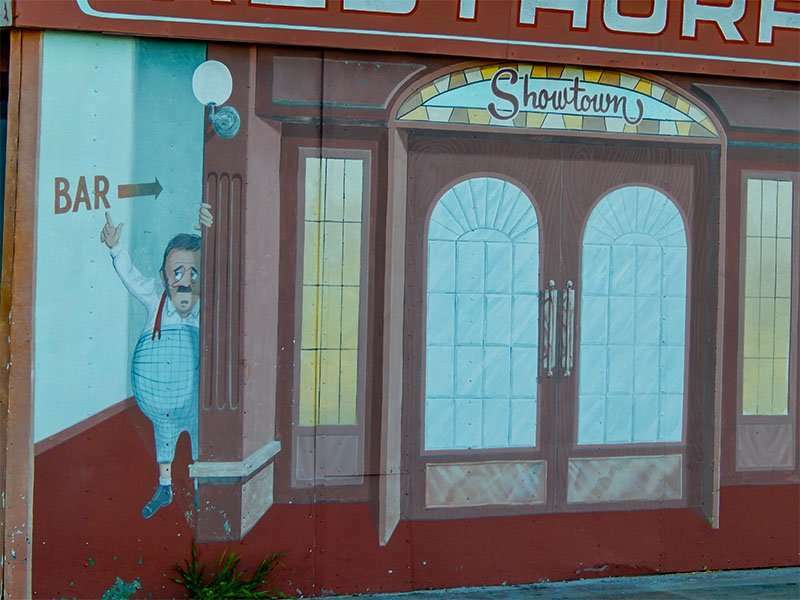 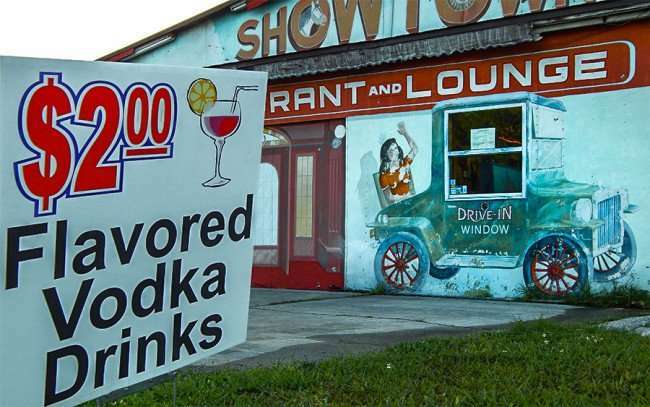 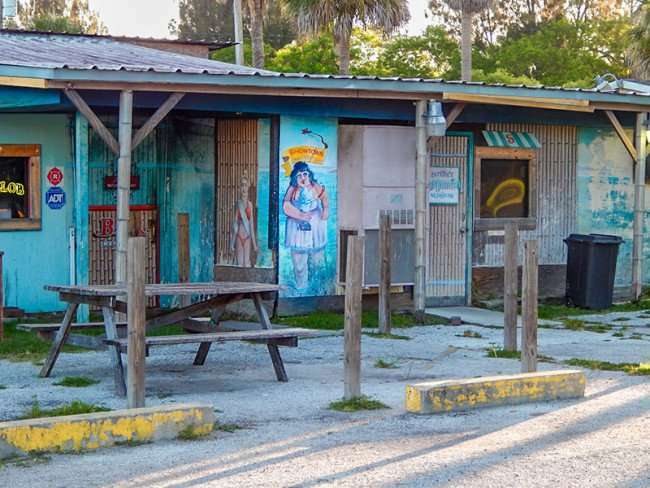 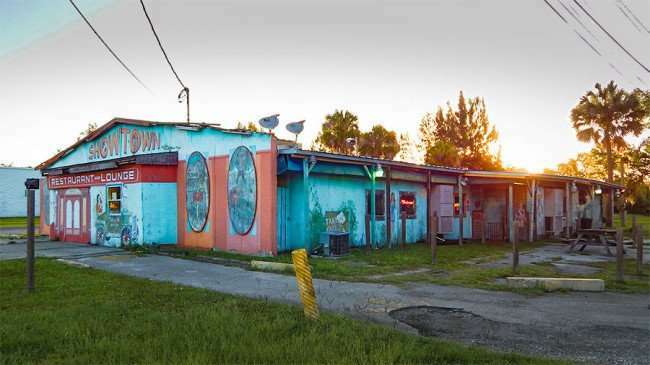 GIBSONTON / SOUTH SHORE, FL – JUNE 2: The outside of the Showtown USA Bar & Grill is a colorful, animated mural located on US-41 in Gibsonton, FL. 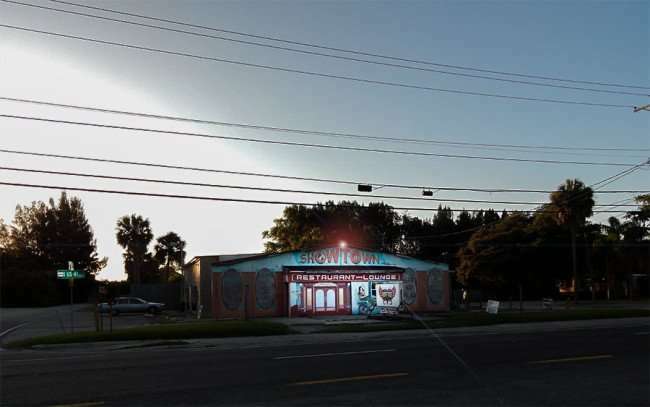 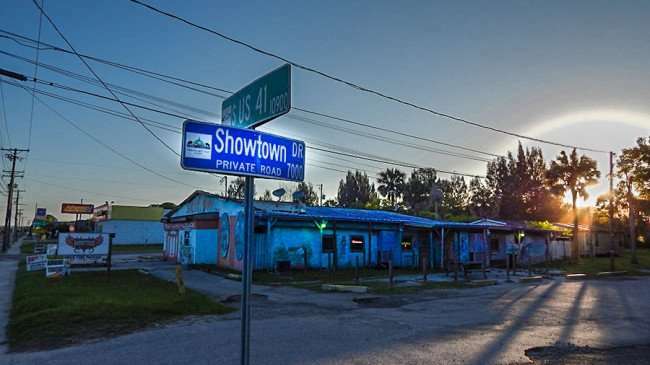 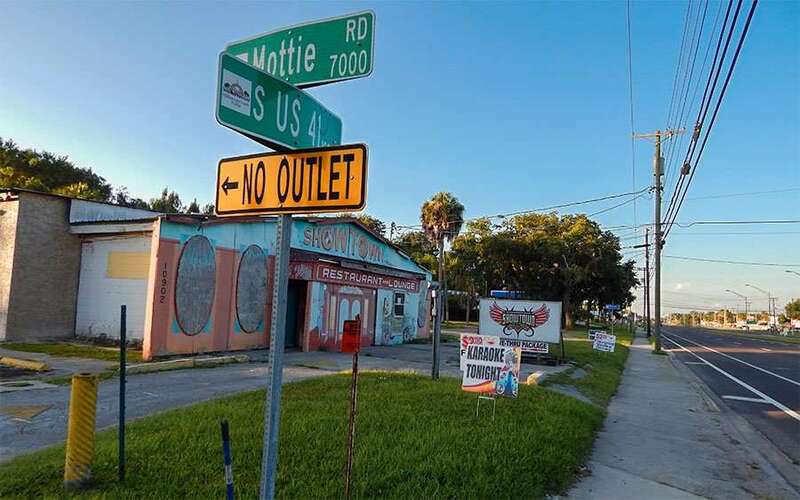 Gibsonton, also referred to as Showtown, is considered one of Florida’s biggest circus communities, a place where carnival workers live during the winter months until the next season. 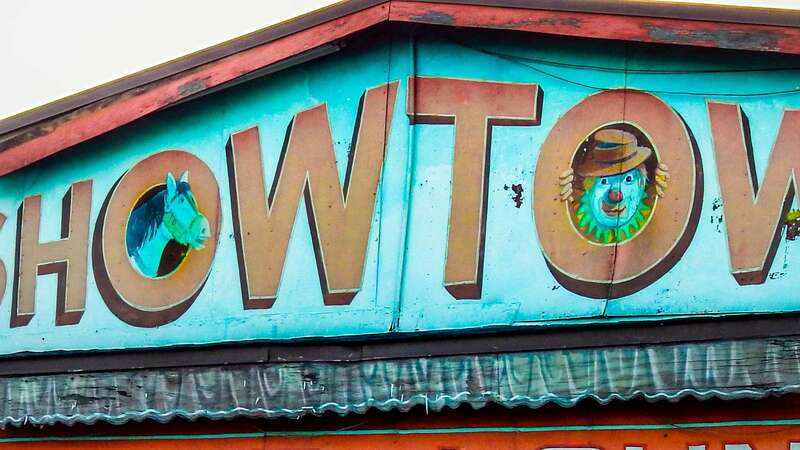 During the off-season, it’ not uncommon to see circus props and exotic animals in cages on a few of the front lawns as your drive through Gibtown. 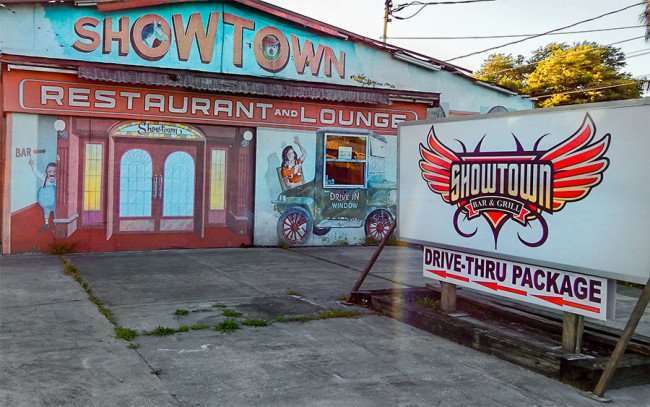 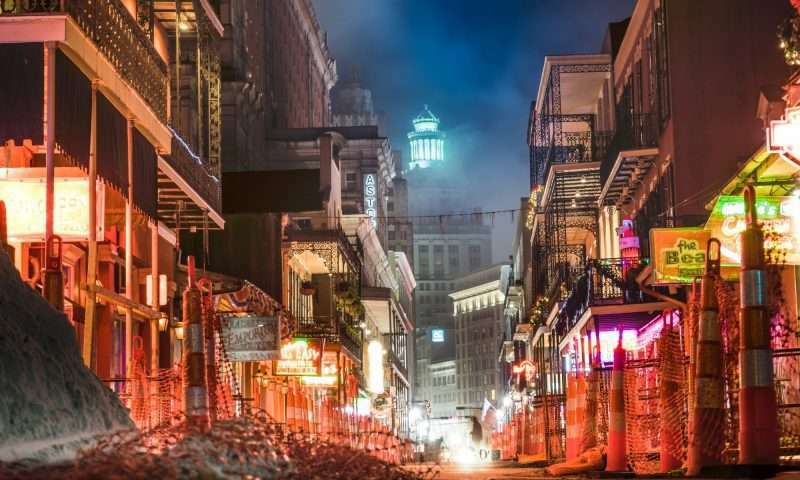 The town is very eclectic and non conforming due to its relaxed zoning laws, which makes the neighborhood an open canvas for art work and non-cookie-cutter housing and businesses that adds to Gibtown’s uniqueness.